Wise homeowners carry out home improvements every few years, not only because it is necessary to maintaining the value of the property, but also to upgrade it and get to live happier and more comfortably. If you are a homeowner, the wisest investment you can make today that will pay its cost within your lifetime is installing solar panels on your home. If you are considering an home improvement project, you are probably thinking of fittings and structure such as renovating the bathroom, or extending the loft. Perhaps you are thinking low-profile projects like a paint here and there or re-doing the floor. All these are great investments, but how well do they compare to upgrading an entire energy system at roughly the cost of each? A 2015 research study funded by the US Department of Energy and carried out by the Lawrence Berkeley National Laboratory (LBNL) based in California had some interesting predictions about the new developments in the photovoltaic technology and how it would impact the home solar energy industry. The report, titled ‘Selling Into the Sun’ correctly predicted that the prices of solar panels would drastically drop within 5 years as their efficiency increases, and that would significantly increase the value of homes. Sure enough, installing a standard 6 kilowatt (kW) solar photovoltaic solar panels on your home add the value of the house by approximately $25,000, $1,000 more than Selling Into the Sun’s estimate two years ago. 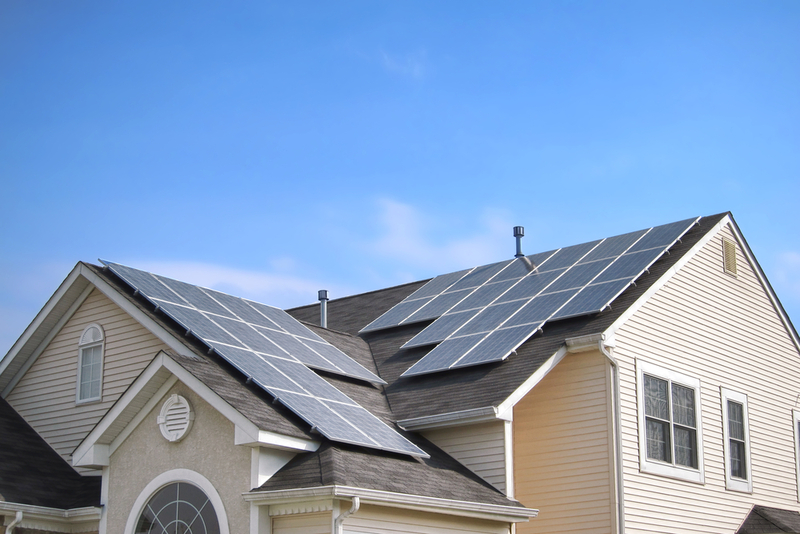 The cost of installing a complete solar energy system in your home has been drastically dropping over the past decade. It is safe to say that solar panels are highly efficient and cost a lot less, thanks in part to the market that is embracing solar energy as an eco-friendly practical energy source that can power homes and businesses. The cost of remodeling a residential house last year was higher than it has ever been. The sky rocketing prices of materials and labor is only expected to go higher this year. Considering that solar energy will greatly cut the cost of your energy bill, it is a wise investment to invest in a system that will increase the value of the home while cutting your bills from the minute they are installed. Where is the longterm value in solar panels? The bold claim that there is no other home improvement project you will invest in that will recoup your cost sooner and higher than solar panels is tall, but science is backing it up. Technology is letting homeowners turn their homes from basic walls with doors into smart comfortable refuge they can personalize with programmable electronics and running off-grid power. Companies are building devices that are get more intelligent by the day and use even less power. In the past, people shied away from solar panels because they feared they may not harness enough energy on their own and had to be supplemented with grid power, an understandable concern I might add. Homeowners who are willing to pay more for the best solar equipment reduce and even completely eliminate their electric bills. In the near future, all our cars will run on electric energy and even then, you will have sufficient energy to charge all devices and vehicles. To be more precise, solar panels on the market today come with 25+ years of guarantee that they will generate electricity. A simple project you choose to carry out on your home today will most likely outlive you. If you are planning to sell your home in the next 10 years, the value of the photovoltaic panels you hire a professional company to install today will be valued then just as much then, if not more. This is because the value of the panels does not take into account how much you will be saving month-to-month in energy bills. Use a calculator to estimate how much you can save on your next project and do not forget to include just how much you will be saving the planet earth when you choose green energy. There is a lot of information regarding the latest developments and even calculators that let you estimate how much energy these photovoltaic cells will generate. Most importantly, learn about all the equipment required for a home solar system and why you may need to talk to an installation expert for personalized estimates.